The fine folks at Acorn Media have been kind enough to share the package art for the upcoming PRIME SUSPECT: THE COMPLETE COLLECTION. The DVD set will be released on Sept 7th, 2010. 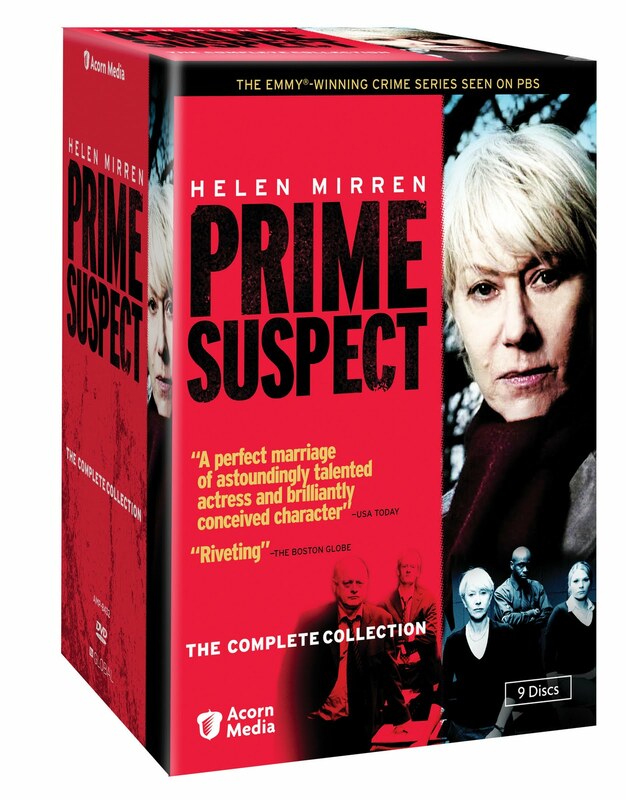 Oscar® winner Helen Mirren is Detective Jane Tennison, “one of the great character creations of our time” (The Washington Post), in a series that won more than 20 major international awards and raised the bar for police dramas. Tenacious, driven, and deeply flawed, Tennison rises through the ranks of Britain’s Metropolitan Police, solving horrific crimes while battling office sexism and her own demons. “Rare is the drama that works so well on two levels: as a crackling whodunit and as a finely tuned character study of a strong but insecure woman trying to prove herself in a man’s world” (Time). Seen on Masterpiece Theatre and Mystery! and created by crime writer Lynda La Plante, Prime Suspect features some of Britain’s biggest stars, including Ralph Fiennes (The English Patient), Tom Wilkinson (Michael Clayton), Zoë Wanamaker (Poirot), David Thewlis (Harry Potter), Mark Strong (Sherlock Holmes), Ciarán Hinds (Jane Eyre), Tom Bell (Reilly: Ace of Spies), and Jonny Lee Miller (Trainspotting).